While Pandit Jawaharlal Nehru with reference to India is famed to have called the media ‘the watchdog of our democracy’. To call the ‘Press’ or the ‘Media’ as the fourth estate or the watchdog per se signifies its station in the temple of democracy. The Media besides its institutional nomenclature, functionally alludes to the collation and dissemination of information. This functionality is wide and varied encompassing democracy and good governance and, matters of public interest with relevance to society, economics, religion, culture and so forth. Along with these via discussions and debates educating and guiding the public. Of course, entertainment is an integral part too. In the context of a government there is the Legislature, Executive and the Judiciary as the indispensable triad of democracy. Stability between them is ensured by the doctrine of separation of powers which enables maintain checks and balances. The news coming out of these three portals is given to the public by the media. Edmund Burke in order to emphasise the importance of the media said that the Fourth Estate is more important than the other three. The country’s first television station was the Independent Television Network (ITN) which started broadcasting in April 1979. The new station remained independent only for two months as the government took control of it. Sri Lanka’s second state-owned television station – Sri Lanka Rupavahini Corporation (SLRC) – was established by the Sri Lanka Rupavahini Corporation Act No. 6 of 1982. According to a research study by the Open University, as far as Sri Lankan Media industry is concerned, there are more than 60 radio channels, 20 television channels and 200 newspapers in all three languages. Only two market research companies operate audience rating systems on radio and television broadcasting in Sri Lanka. Yet the ratings systems operating in Sri Lanka have generally lacked transparency in terms of their methodology and process. (ISSN 2012-9916 © The Open University of Sri Lanka). This situation is exploited by the television owners to claim that they are the best or they are the number one. The common man is not aware of the intricacies of media rating systems. They can be easily fooled to believe in these fictitious claims. Sri Lankan has a rural population of around 81% (of total population), according to the World Bank collection of development indicators. Only 19% are living in the city and urban areas. Access by the rural population to information disseminated by the print, electronic, social media, radio and the internet is obviously limited. The reason being lack of infrastructure, domestic economic priorities, ignorance, weak purchasing power and, in general, typical rural backwardness. It is not strange to note that there are many households without even a television set. If they have one it is connected only to the free to air channels. Mostly, the State television. Despite this the number of viewers is far greater when those who do not have television sets visit their neighbours to watch programs. Freedom of speech is indisputably fundamental for the functioning of an effective media. However, this freedom cannot be absolute and, therefore, our constitution has placed certain restrictions. Article 14 (1) (a) grants this freedom and by virtue of Article 15 (2) it conditions the extent of this freedom to certain restrictions. The limitations, inter alia, apply to situations ‘prescribed by law in the interests of racial and religious harmony’. Since this restriction refers to other laws, it will be of interest to know what these laws are. The clear implication is also that whatever has been prescribed by the other laws as a violation of racial and religious harmony cannot be disseminated as news. Such news will not fall within the ambit of the right to free speech under 14 (1)(a). Two references under the Penal Code are given below as examples. 291A. Whoever, with the deliberate intention of wounding the religious feelings of any person, utters any word or makes any sound in the hearing of that person, or makes any gesture in the sight of that person, or places any object in the sight of that person, shall be punished with imprisonment of either description for a term which may extend to one year, or with fine, or with both. 291B. Whoever, with the deliberate and malicious intention of outraging the religious feelings of any class of persons, by words, either spoken or written, or by visible representations, insults or attempts to insult the religion or the religious beliefs of that class, shall be punished with imprisonment of either description for a term which may extend to two years, or with fine, or with both. The media does not pay heed to these restrictions. 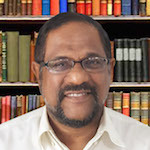 Especially, some broadcasters and the press who are obsessed by Sinhala Buddhist nationalism have disseminated news which fall under these prohibitions. Such news offends against good taste and decency. Likely to incite crime and public disorder. Offend racial and religious susceptibilities. While journalism needs to be free, independent, responsible and ethical most of our ‘journalists’ are just the antithesis of these principles. Extending this a little further, is it not a shameful joke that these blokes masquerade as journalists? Professor Noam Chomsky in relation to media manipulation once said, “The general population does not know what is happening, and it does not even know that it does not know”. Remember our rural population is around 81%. Not all rural folks would be inclined towards reading newspapers. Therefore, television and radio have a significant role to play in educating the rural illiterate masses and making them aware of all the events happening in the country. Sri Lanka has a voter registration list which exceeds fifteen million voters. All these people too have the right to know and the moral right to be told the truth via the television or the other media. The State media and certain private Television channels have failed in their moral duty and commitment to educate the masses. Media is expected to supply the political information that voters base their decisions on. On the contrary, they have continuously manipulated the thinking of the population especially the helpless rural people. Their effort had been to promote the concentration of power based on narrow nationalistic political schemes. To achieve this evil plan, they deliberately engineer the disintegration of the population into compartments of race and religion or regionally, as North and South. The extent of influence wielded cannot be measured but what is certain is that it is presented in a manner appealing to the emotions of the rural masses. Professor Chomsky says that the Media uses the emotional aspect more than the rational aspect. The emotional aspect short circuits rational thinking. It finally opens the door for the implantation of ideas, fears, anxieties and compulsions. The Sinhala rural population who are innocent and gullible would naturally believe in these types of propaganda. Our media was saturated with consistent populist campaigning and the moulding of deceptive and treacherous public opinion against the ‘opponents’. Populism destabilizes democratic practices and provide a foundation for antidemocratic leaders to come to power or even abuse power, as seen recently. Thanks to the judiciary which oxygenated democracy and democratic institutions when it was nearing death. The ultimate goal of media is to serve the public interest. The Media as the fourth estate must protect what has been saved. Do not asphyxiate Democracy. It must act responsibly and play a positive role in fostering a democratic culture that goes beyond petty and opportunistic politics. The most recent event which showcased media bias and manipulation of the minds of the people was the period from 26 October 2018 onwards. While its function was to be the watchdog of the three organs, it conducted itself in a manner which only helped to give rise to uncertainty, deep suspicion and tension between people. If a democracy is to run smoothly in any country, it is a must that the media discharge its duties without being influenced by any particular political party or few individuals and should treat everyone on an equal footing. Democracy is meaningless without a free, neutral and active media. The term Fourth Estate came into vogue following the allocation of Reporters Gallery in the British Parliament. The term applied to print media but now encompasses all media except social media. Soon someone discovered the goldmine. Paid news and fake news spouted in the Estate. Not many countries were able to control weed. We have a Fourth Estate overgrown with weeds. Governments can be made or broken. If one invests one may make profits. Democracy gets smothered and buggered and newer versions evolve. Our Judiciary is hampered by bad prosecution who doctor the presentation so that a pre determined verdict will eventuate. Recently we had a robust ‘for and against’ debate in the Supreme Court. The verdict was swift. This must be routine and not ‘oxygenation’. The Maharajahs are particularly guilty of pushing their own political agenda through fake news. Their “news” broadcasts are more breathless allegations than real news. They are primarily responsible for blowing up this “bond scam” out of all proportion while carefully avoiding any real analysis of losses. Their reporting has convinced many people that Ranil bankrupted the country, and not MR. In the meantime they carefully downplay any corruption by MS, which includes the Russian ship deal, the sudden wealth of his brothers, and the bribe-taking by his chief of staff. The exposure of the last item by the UNP probably set MS on his present track. You have missed Sirisena’s uninvestigated SMEC deal. There is a huge competition among pharmaceuticals pushing their products by various means. Sirisena was the Minister of Health from 23 April 2010	to 21 November 2014. Well it’s up to the investigators to make head or tail out of a minister’s life. Someone should consider legal action against Newsfirst for blatantly, persistently legal whitewashing a coup that was later unimously judged illegal. It is clear they are frighfully ill informed or worse. They have moved from black vs. white to ranil vs. sajith. That fellow Faraz Shaukatally thinks he is a “know all” but doesn’t realize how stupid he actually projects himself to be, with his obvious bias. I am no admirer of RW, but there are limits to how low one can stoop, particularly when one is broadcasting to the public. He is disgusting. I would very much have liked to hear these very same so called media personalities standing up for Democracy when the other crowd was blatantly violating all rights and norms. Didn’t happen, did it? We, and our future generations, can be so thankful for the Hon. Speaker and the Hon. Judges of our Supreme Court. You are right in saying the media-main stream media- let the people down. Reported one sided view that the President’s actions in sacking the PM as ‘unconstitutional’ and not legal. Hence paving way for the judiciary to interpret the ‘law’ as such.There was much ‘direction’ given by the UK Diplomat in an unprecedented fashion appearing in a sovereign nation’s parliament. All this Kosher or ‘OK’ for the colonised mindset in Colombo and elsewhere. So you are right – media let us down and continue to do so in not reporting the President’s speech at the re- appointing of the old PM/ sacked PM. No analysis of his speech or the lack of response to the serious issues he raised by government MPs / PM. Now that the Judiciary interprets law in Queen’s lingo / as the UK dictates is OK for some!! Inciting disharmony should be punishable by law, and it is, however partisanship is another matter altogether. In advanced democracies, newspapers blatantly take sides in print, they do not see this as wrong. Professionalism is sadly lacking among our journalists. Most of them are not neutral, impartial and objective. They don’t care about principles and ethics. This is also true of many persons who write articles on politics and governance. They write articles because they have an excellent command of the English language, but their thinking is skewed and prejudiced. Impressive language skills do not necessarily imply clear thinking! We are not a free-thinking nation any longer as all are biased towards our own interests and beliefs. This is the aftermath of the language policy brought in prematurely way back in 1956, beyond this our nation became divided and fragmented in every aspect and the outcome is that the cream of the society left the shores in numbers and the exodus is still continuing which seems unstoppable. It is estimated that there are more than 2.5 million Sri Lankans living overseas. These numbers partially contributing to the tourist arrivals and generating revenue in the form of foreign exchange. This scenario would have inflicted damage in every segment of life and didn’t spare the media. Most of the media companies having contacts with corrupted political leaders inducing them to publish biased reporting. Wither Sri Lanka’s future.